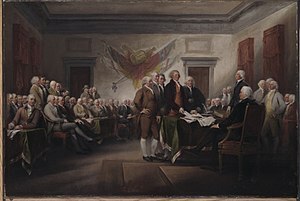 It is the fourth of July again, the anniversary of our declaration of independence from Great Britain. I was going to film myself singing the national anthem, but I decided that it might be against WordPress‘s terms of service to subject readers to the sound of me singing. So, instead I’ll provide this video. Happy Independence day, and may God bless America.